In last post, we discussed about “carbon solar cell” which is manufactured using 100 % carbon(widely available and cheaper to use). In that post, we discussed about nanotechnology and how carbon changes its behaviour on nano scale .Today, we will see how we can use nanotechnology with gallium arsenide(better alternative to silicon in solar cell). 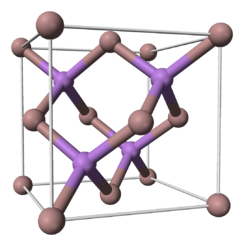 Gallium arsenide (GaAs) is a compound of the elements gallium and arsenic. It is a III/V semiconductor, and is used in the manufacturing of solar cells since 1970, when it was first introduced by Zhores Alferov in the USSR.In the early 1980s, the efficiency of the best GaAs solar cells surpassed that of silicon solar cells.These cells has also being used in rovers Spirit and Opportunity, which are exploring Mars’ surface. According to researcher Anna Fontcuberta i Morral,inspiration of building solar cell with vertical nanowires came into her mind by observing trees.Trees captures their sunlight from all sides(360 degree) by standing perpendicular from the ground but in our traditional cells we are doing exactly opposite and using horizontal way of capturing light and that makes our cells less effecient.In her experiment she uses nano-wires which is a nanostructure, with the diameter of the order of a nanometer (10-9 meters).Nanowires requires less material therefore less money( If we require 40 kg in traditional method, in nanotechnology we will need only 40 grams).Nanowires are filamentary crystals with a very high ratio of length to diameter, the latter being in the nanometer range. Semiconductor nanowires are of significant interest from a fundamental point of view as they exhibit new physical and chemical properties owing to their large surface-to-volume ratio, low dimensionality and confinement in one dimension.